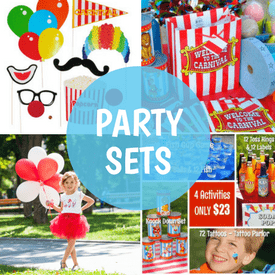 Carnival Birthday Party - Carnival Party Supplies, Games, Prizes & More! 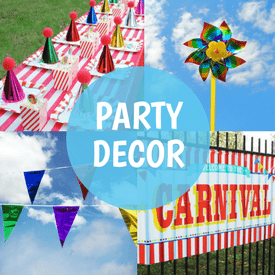 Carnival Themed Party Supplies & Decorations for Less! 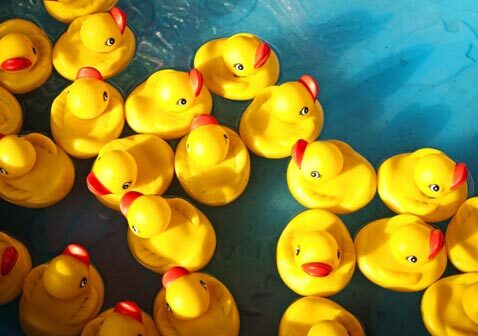 Planning a carnival themed birthday party can be great fun! Your “to do” list includes planning the carnival booths, games, food and prizes and invitations too! Let Carnival Savers help with your kid carnival party with our discount carnival decorations, carnival game supplies and kid approved prizes at great savings! 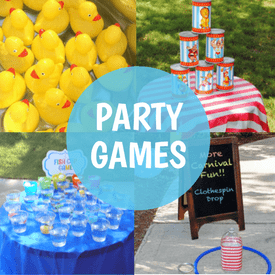 Also, don't miss our BRAND NEW Free Carnival Party Game Ideas page packed full easy games to celebrate that special birthday!